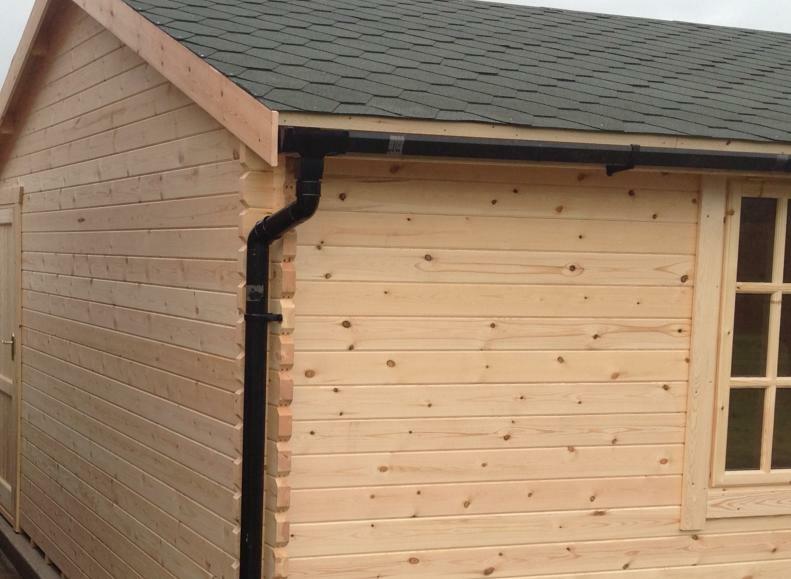 If you are restricted by planning and require the ridge to be lowered to 2500mm then we can arrange this FREE of charge, there is some exclusions on certain log cabin styles and sizes. 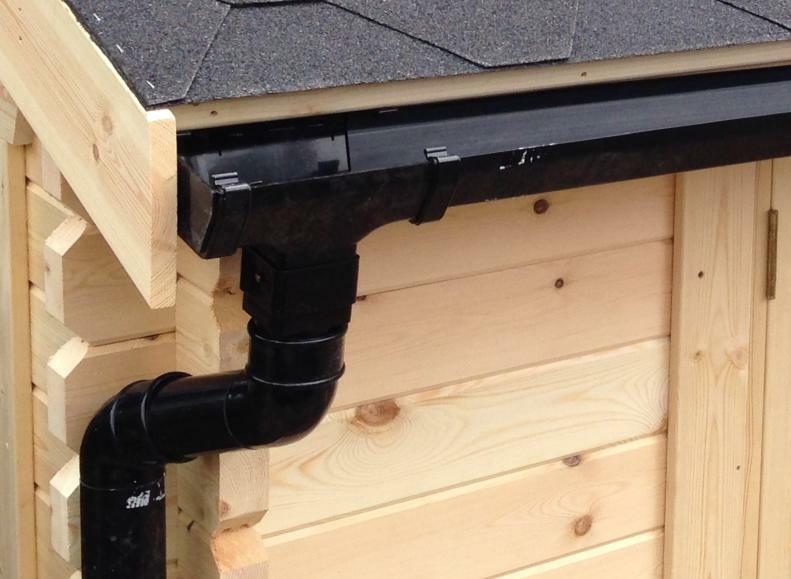 Finish off your new log cabin with this unique and easy to fit pre made guttering kit, the kit will include all the components necessary to complete the fitment. 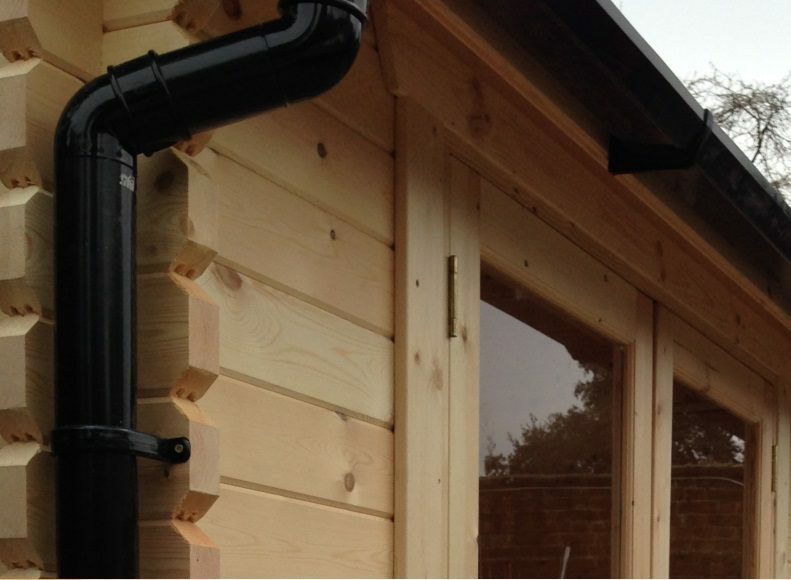 Only available in black on the 28mm and 44mm Log Cabins range. 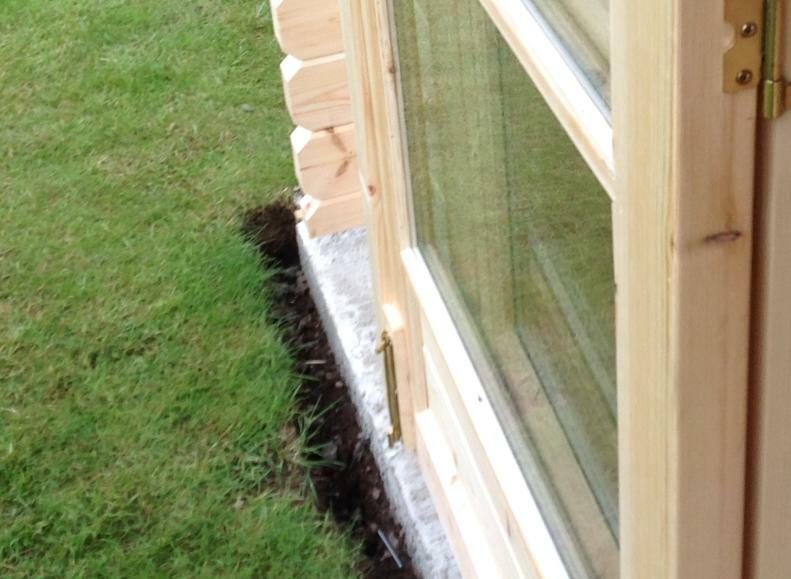 You can now customise your Log Cabin door and windows by added some great additional glazing options. 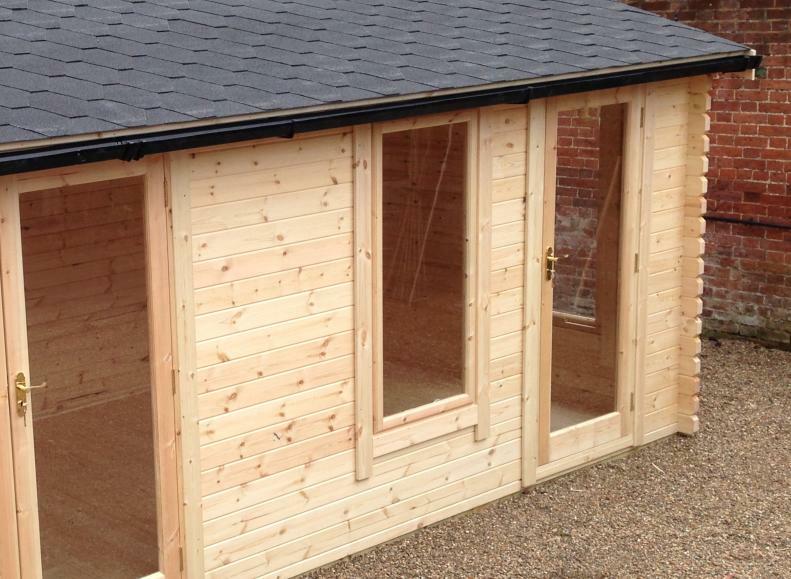 DG – For warmth and medium safety we recommend our standard double glazing (4mm – 6mm – 4mm). 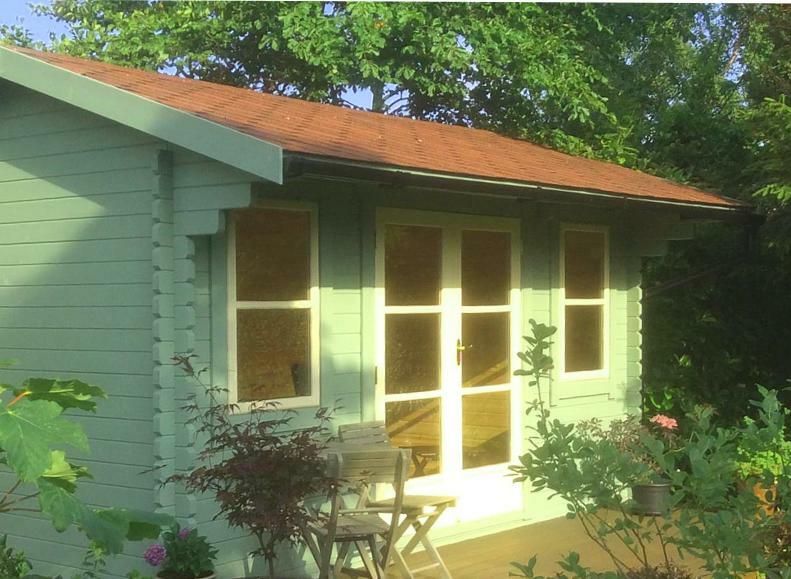 Double glazing also offers sound proofing that helping to reduce external noise. TG – For safety we would recommend our 4mm toughened glass, complete assurance from accidental damage. 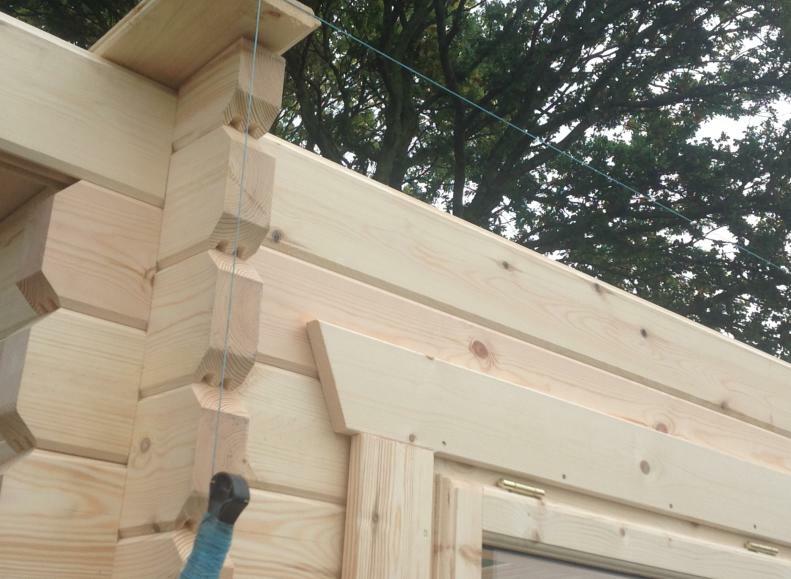 TDG – Safety and warmth, Our highest grade of security and safety for your log cabin is toughened double glazing (4mm – 6mm – 4mm). 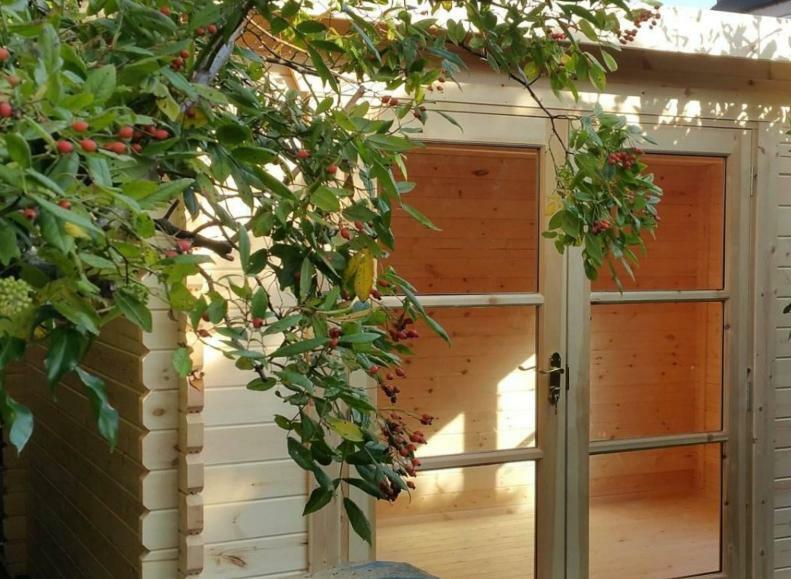 Combine the specially made toughened glass, with all the benefits of double glazing, this really is the greatest way of making your space safe, secure and insulated. 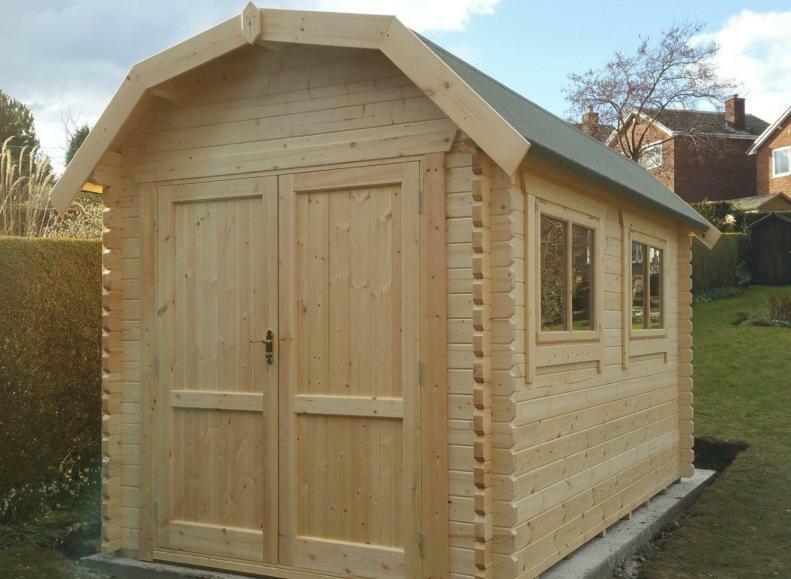 This option is only available on the 28mm and 44mm Log Cabins range. 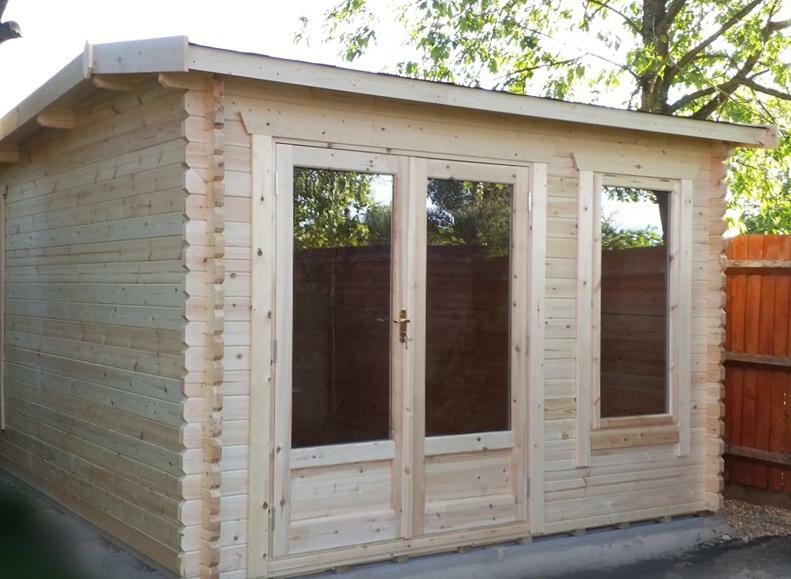 We have large range of log cabin window and door styles, Euro, Georgian, full pane or solid boarded - (doors only). 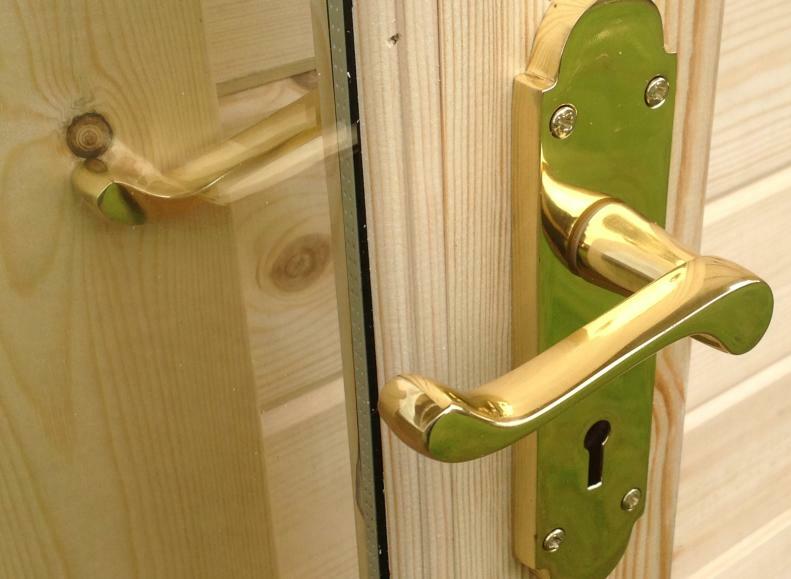 Single and double doors can be half glazed, fully glazed or solid boarded. 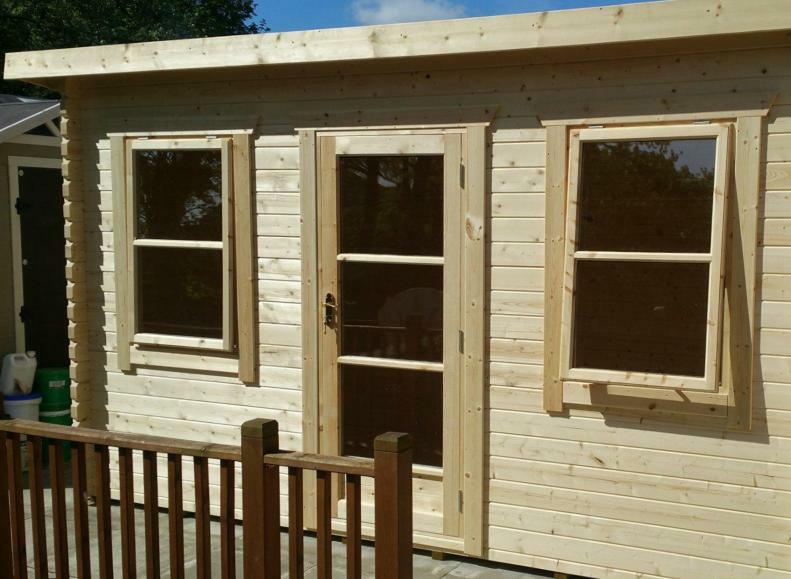 Our window come in array of sizes, you can also have them single or double. Basically we can swap any Georgian style to Euro and vice-versa if shown on the product page, we also offer a bespoke service, you can add any window/door style from any other model – (charges will apply for this service). We offer high quality 3mm-thick bitumen roof shingles which come in four colours, black, brown, green or red. 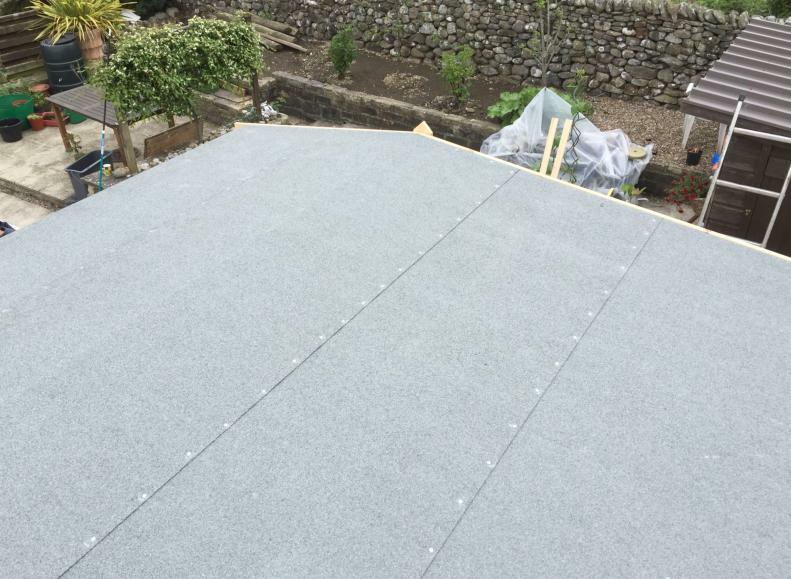 These shingles are made from a fibreglass mat base and are covered with a special bitumen mixture from both sides to ensure the sealing durability of the product. 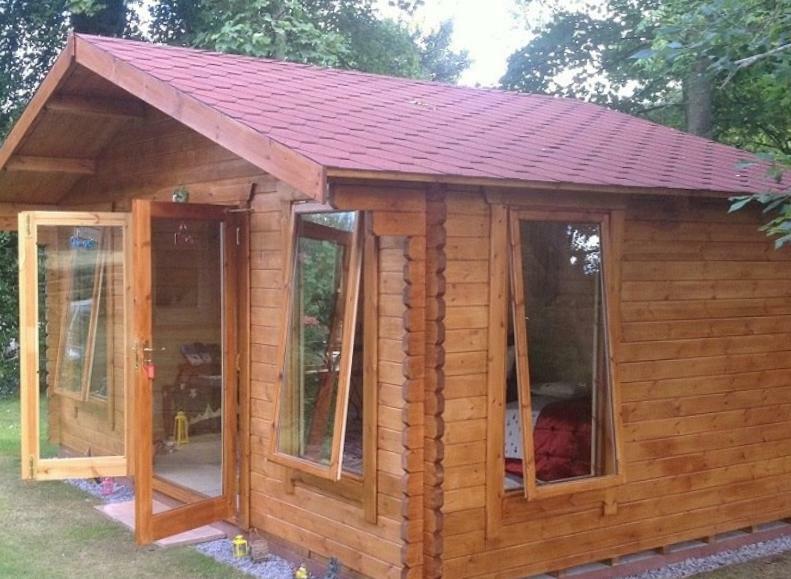 If you have chosen to have your new Log Cabin installed and require the shingles, then you will need to add the shingle pro assembly service. 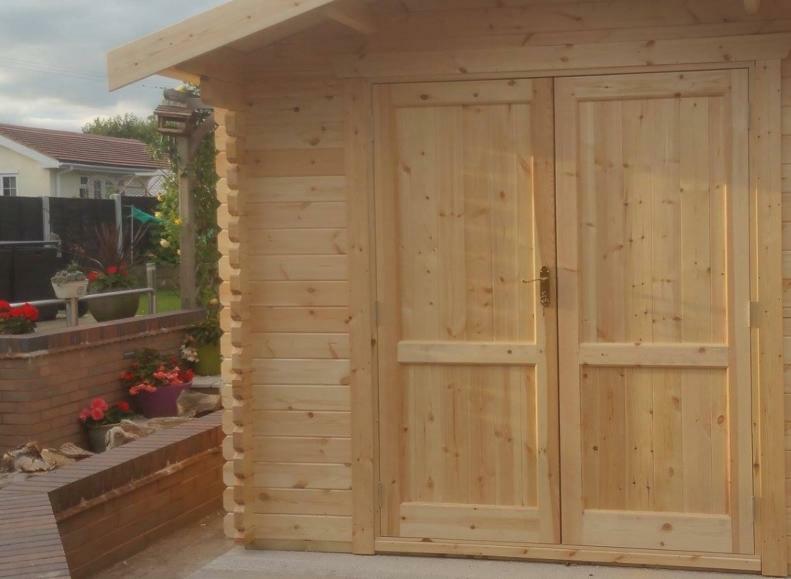 Only available on the apex Log Cabins range. 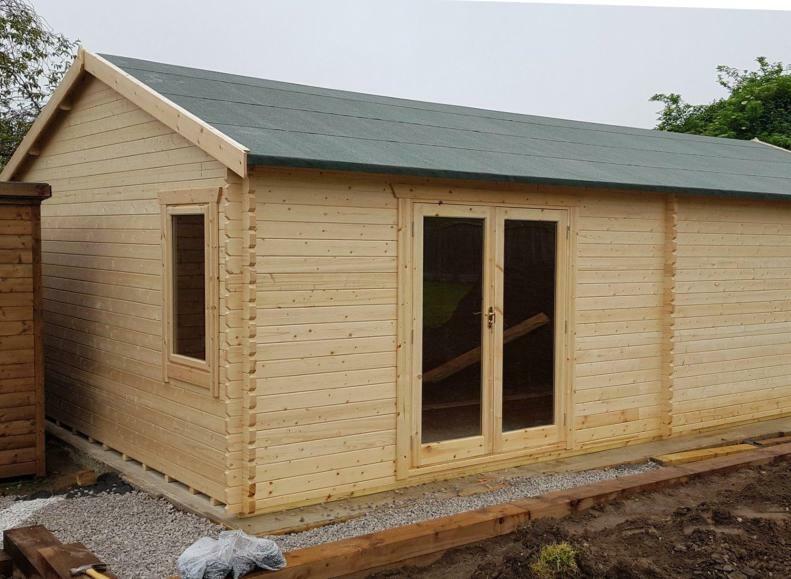 The beauty of choosing a 1 Click Log Cabin, is that you can add-remove or customise your cabin including the wall thickness on any 28mm Log Cabin. You can choose the superior 44mm thicker double tongue & grooved timber for added strength and warmth. 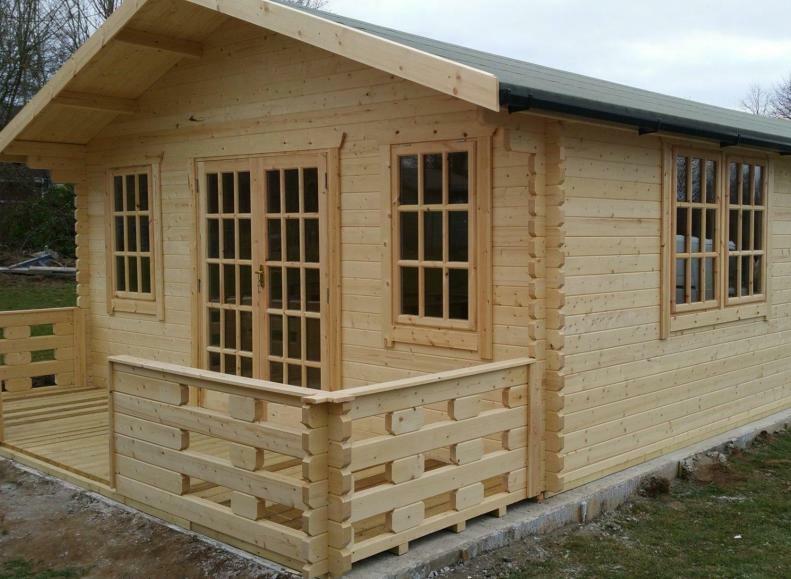 Do you require the services of a 1 Click Log Cabins pro-assembly team? If DIY is not your strong point then yes we would think so. 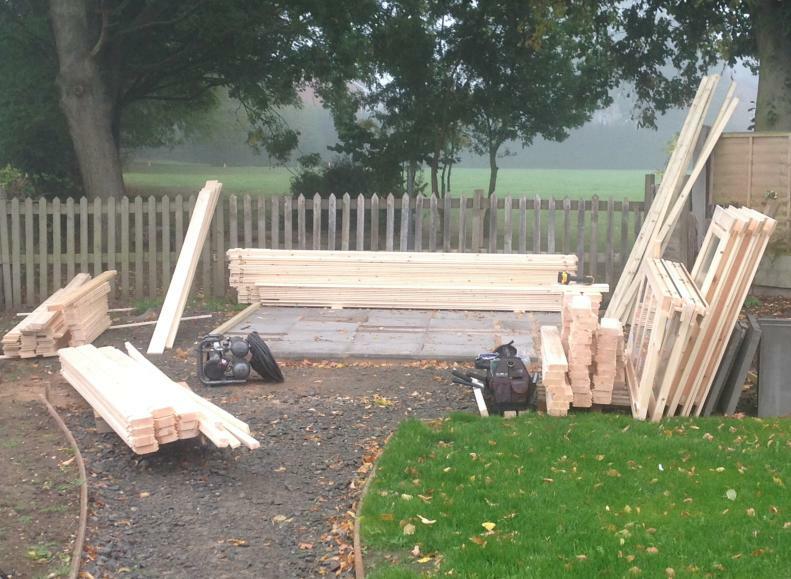 Don’t worry we offer a unique service to construct your new Log cabin in all weathers UK Nationwide.